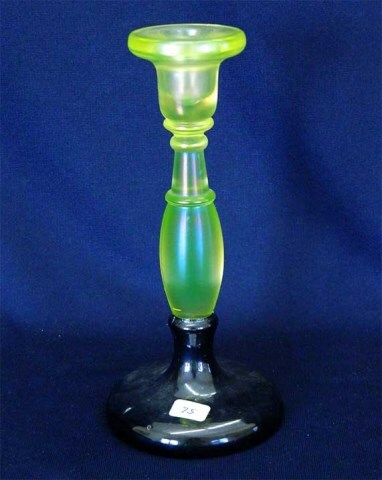 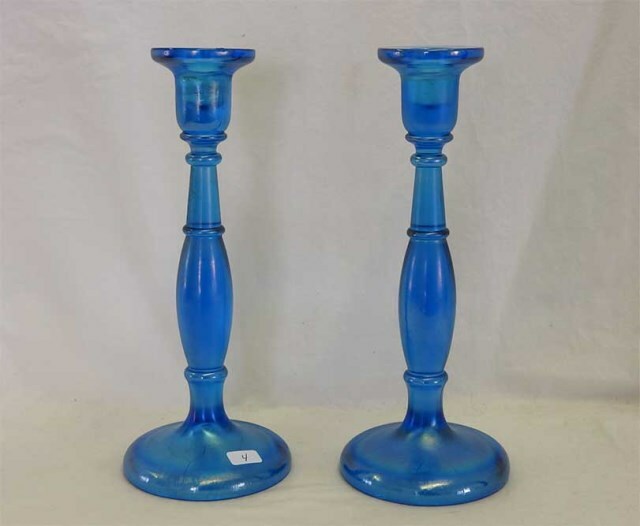 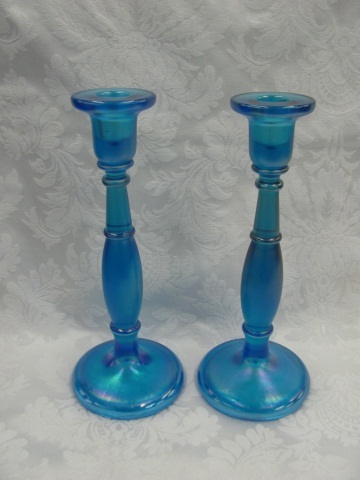 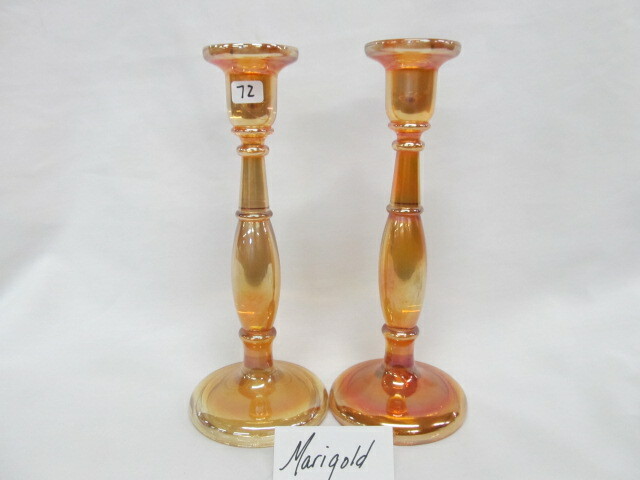 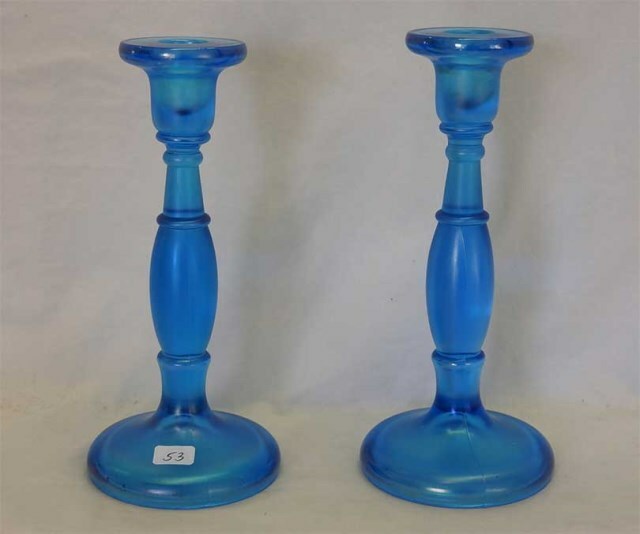 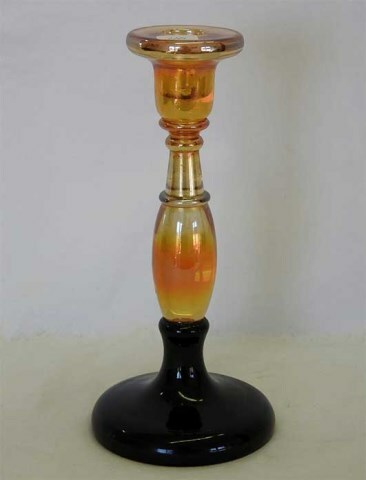 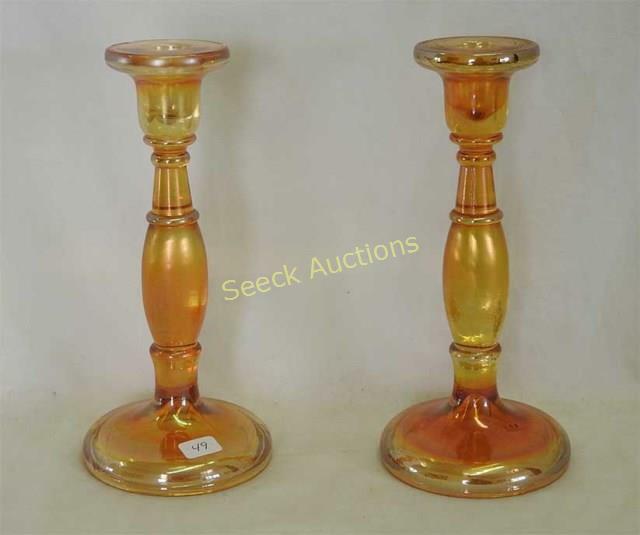 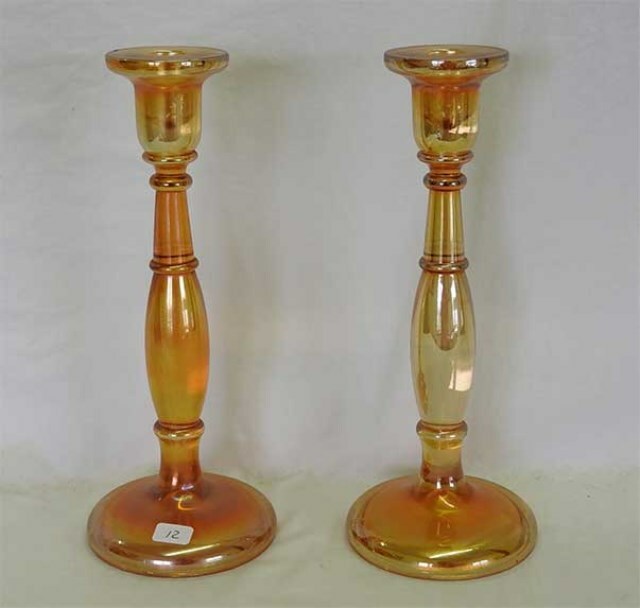 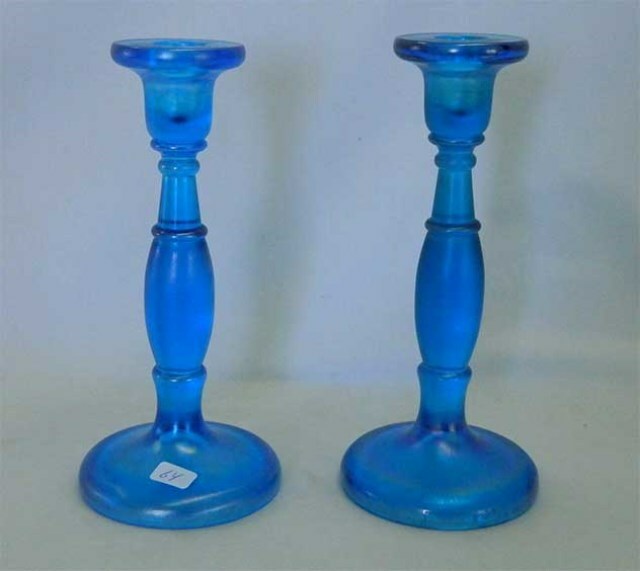 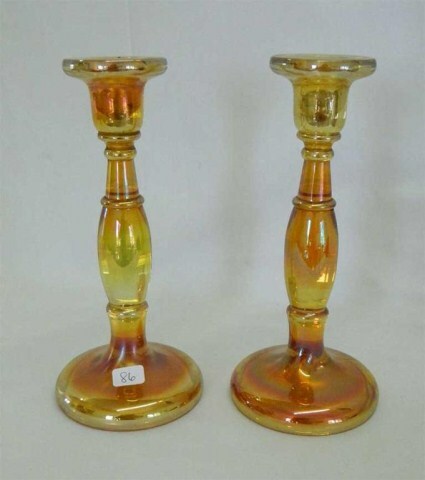 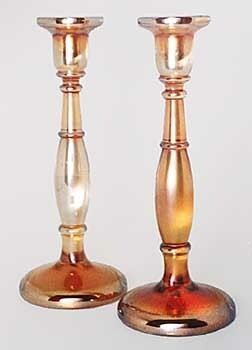 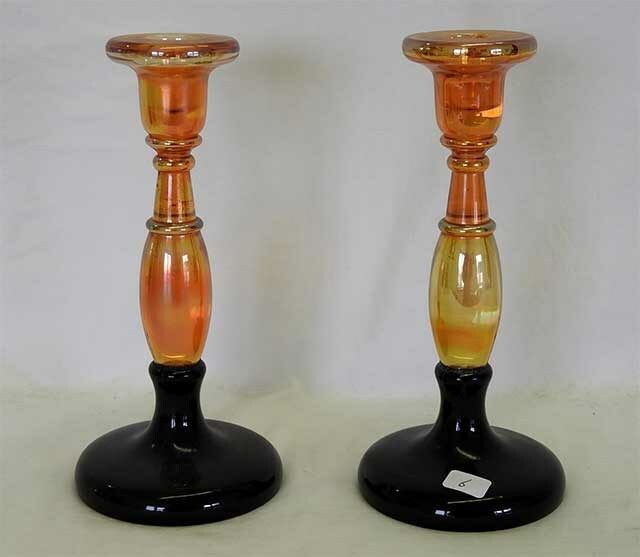 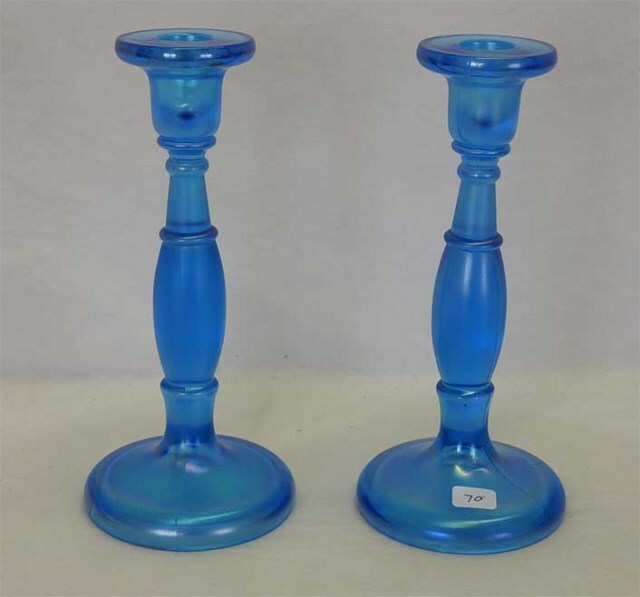 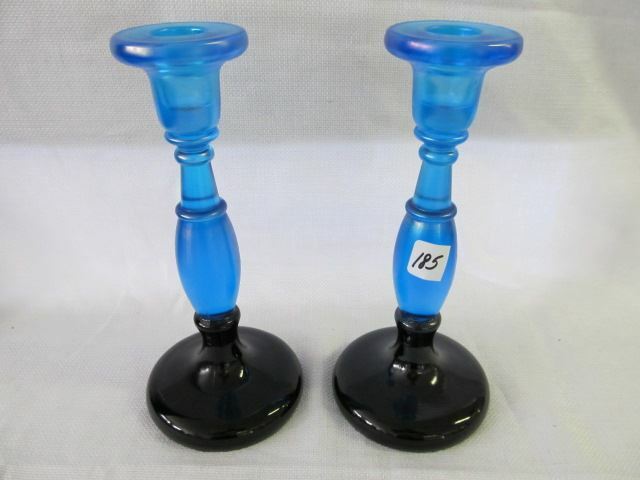 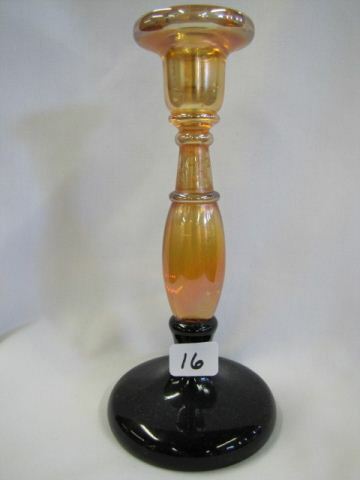 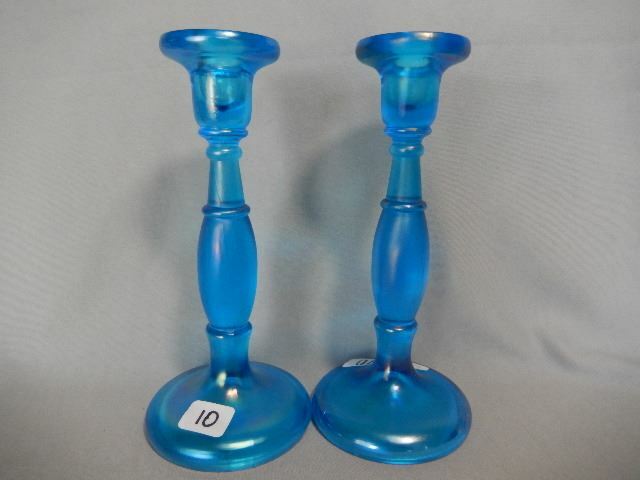 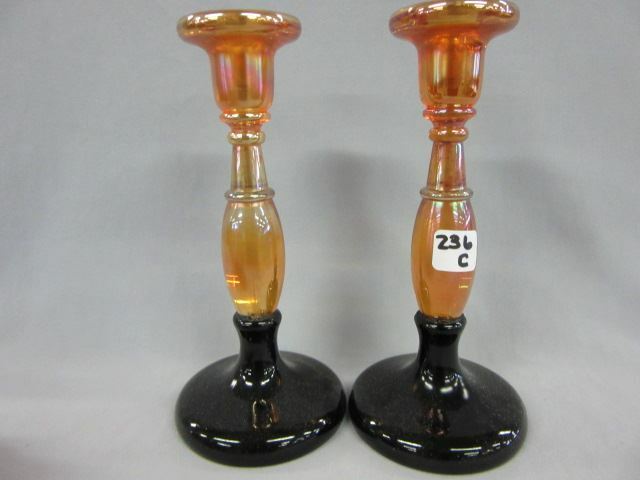 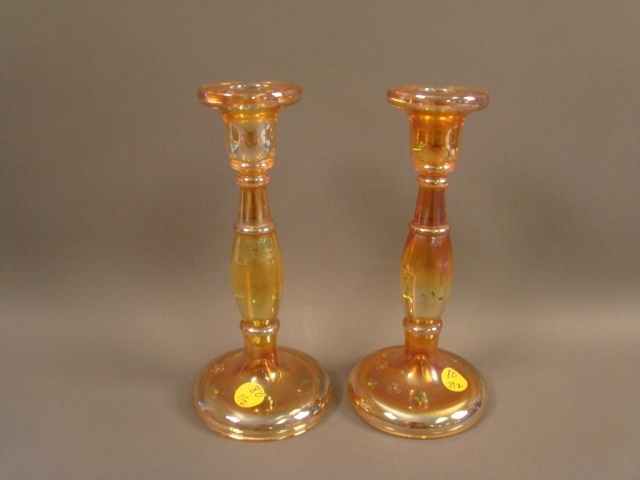 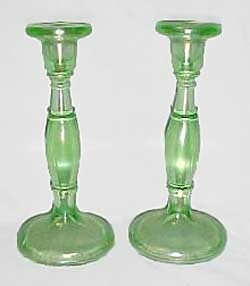 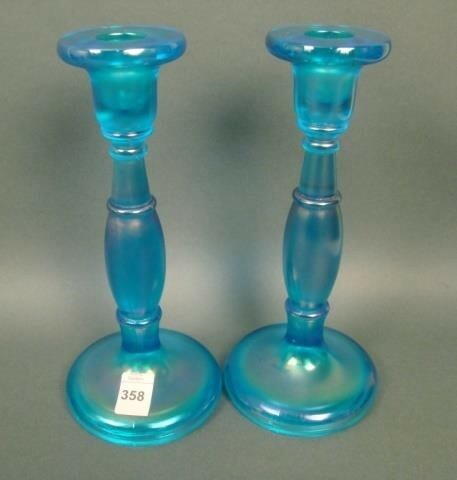 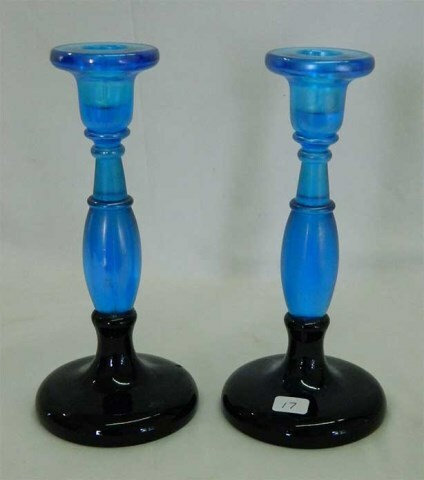 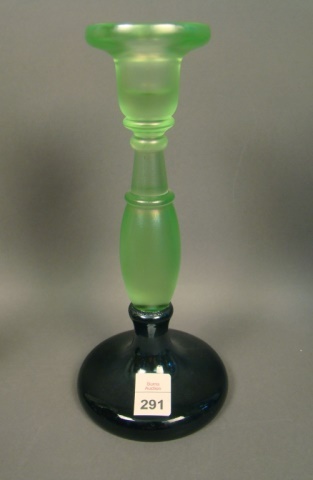 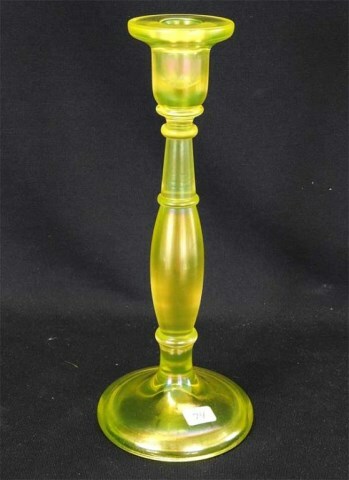 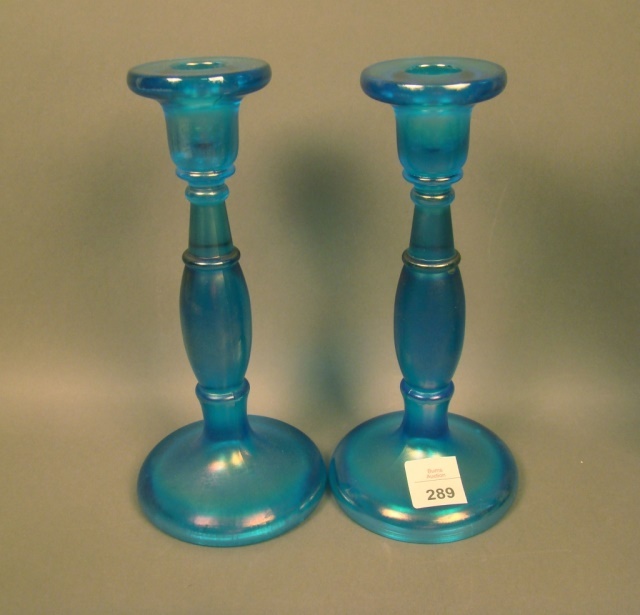 These three candlesticks are the same design but of different heights. 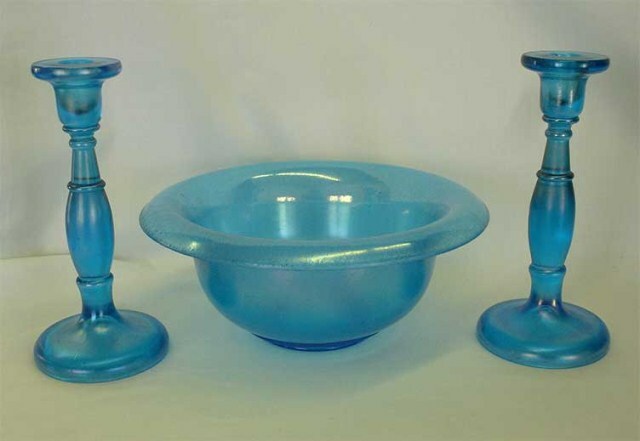 Shown left and center are #549 which is 8 1/2 inches tall with a 3-inch base. 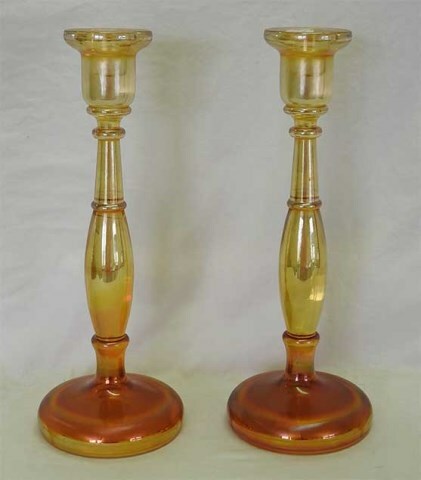 The #649 (on the right) is 10 inches tall (4-inch base) and the #749 is 12 inches (5-inch base). 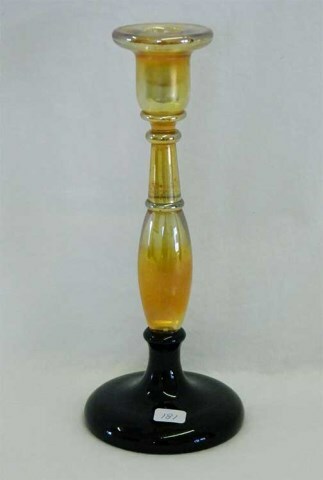 They all are known in celeste blue, Florentine green, marigold, and Topaz (vaseline), shown. 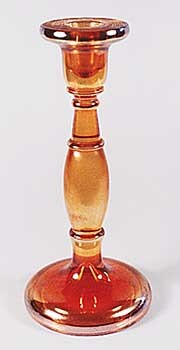 Some are found in other colors.